I might have mentioned a time or twenty that the whole family loves Avatar: The Last Airbender and The Legend of Korra. With awesome action, storytelling and phenomenal characters, both series left us hungry for more. We will be getting a second season of Korra (sometime this year, I think, I hope), and we have the first season to rewatch, as well as all 3 seasons of Last Airbender. We also have the graphic novels. The Promise, a 3 volume graphic novel, picks up at the end of the Last Airbender series finale and covers issues that arise as the world recovers from 100 years of war. My favorite is Part 2, that deals mainly with Toph's attempts to start her own metalbending academy. Toph is unbelievably awesome - she is blind but is also the greatest earthbender alive, and she knows it. The Promise also sets up the creation of Republic City, the backdrop of Korra. On April 2, we get the next adventure with Aang and company: The Search. 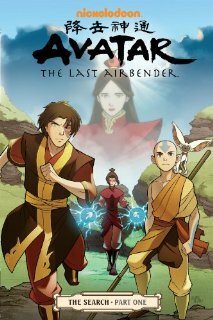 From the blurb: "For years, fans of Avatar: The Last Airbender and The Legend of Korra have burned with one question - what happened to Fire Lord Zuko's mother? 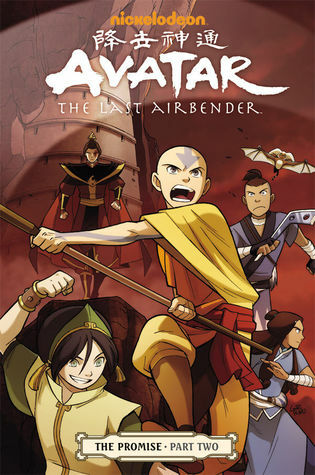 Finding a clue at last, Zuko enlists the aid of Team Avatar - and the most unlikely ally of all - to help uncover the biggest secret of his life." I love that crazypants Azula is back - this should be good. The Search pre-order links: Dark Horse | Amazon | B&N. In the meantime, you can still watch Last Airbender on Netflix or if you have Amazon Prime, you can still watch it for free there. Just don't go anywhere near the live action movie.